Needing to find a data recovery company in Arkansas? It may be harder than you think. Computer repair companies and IT support aren’t equipped to handle complex hard drive or RAID data recovery issues. View of downtown Little Rock. If you need data recovery, we can help you. 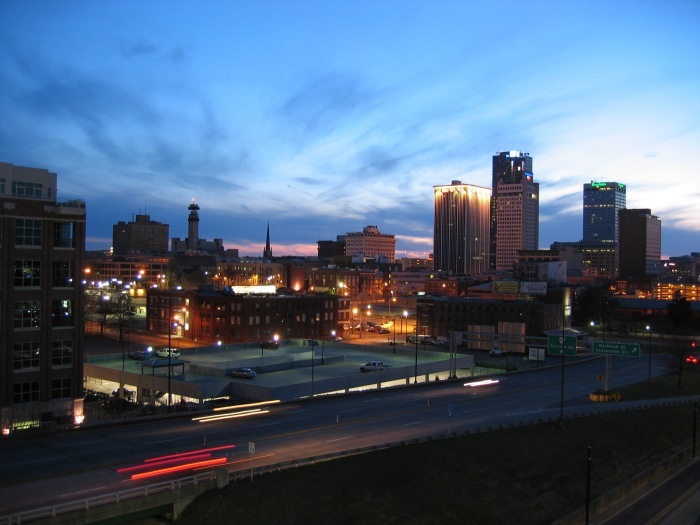 At ACS Data Recovery we’ve worked with clients in just about every major city in the Arkansas of Arkansas. Despite the fact that we are in Texas, it is still very easy to safely ship your media via UPS or FedEx and we can have it here in less than a day. As a leading provider of data recovery services nationwide, we have received hard drives from many different cities in Arkansas including Little Rock, Fort Smith, Fayetteville, Springdale and Jonesboro just to name a few. Wanting to have someone within Arkansas perform your recovery is completely reasonable, but may not always be the best course of action. Data recovery can be fairly expensive, and finding a cheap local solution is almost impossible. You will need to consider the value of your data. Ask yourself this question…”Can I afford to lose this data forever?” If you are talking about decades of family pictures or data that is critical to your business, then the answer is most likely…no. If your hard drive is clicking or making weird noises, you should avoid computer repair shops that advertise data recovery. This type of work is highly specialized, and taking a clicking hard drive to a computer repair shop would be like going to the dentist when you need heart surgery. An additional point to keep in mind is, data recovery is not cheap. So if a company says they can perform data recovery on a clicking hard drive for just a couple hundred dollars…avoid them completely. You will have nothing but heartache if the data has any value at all. It’s not uncommon for hard drive recovery to cost several hundred dollars, and can exceed a thousand dollars depending on what type of failure has occurred. That means when you are searching for data recovery companies in Arkansas, you need to research the companies you are considering. 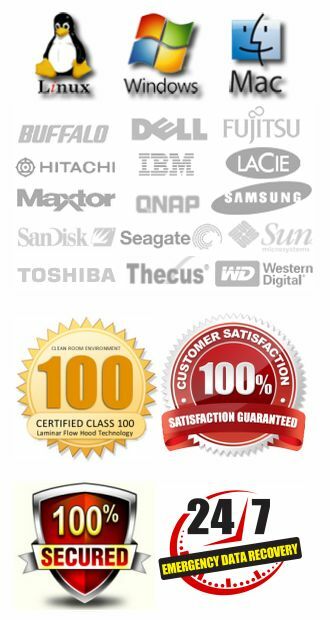 Do they offer any type of proof that they can even perform data recovery at a professional level? Do they have any type of Class 100 clean room or laminar flow hood? Don’t take this the wrong way, we want your business, but we aren’t trying to scare you into using us. 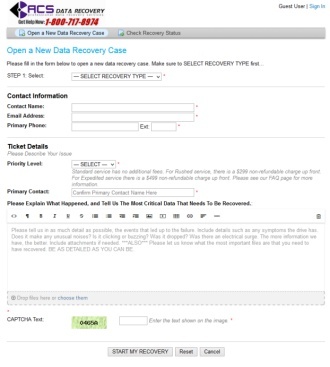 We just want you to know what to watch out for if you are considering a data recovery service in Arkansas. We even give you information here on our own website for other reputable companies that you can choose from. At ACS, we strive to make the entire data recovery process as easy and as transparent as possible from start to finish. We’ve been one of the only companies to actually document the entire recovery process from start-to-finish on physically failed hard drives sent in from real customers. We are an established company with a proven track record dating back to 2003, and we have helped many clients in Arkansas get their data back. You can feel confident in our abilities to safely and securely get your data back, and in most cases if the data is unrecoverable, you pay nothing. If you are part of a computer service center or networking firm located in Arkansas, ACS Data Recovery would be interested in signing you up in our partner program. For more information visit our reselller page.